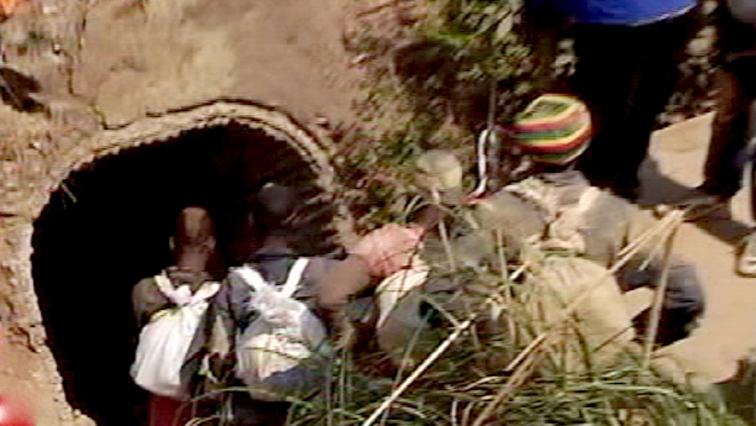 Residents of Krugersdorp are living in fear as illegal miners are becoming more brazen and more dangerous. This after a shootout, believed to be part of an alleged turf war in Wentworth Park, kept residents awake and fearful for their safety. This took place at the Lancaster Mine Gold Plant in Luipaardsvlei over the past few days. “I mean we’re going in completely blindfolded. We’ve got some aerial footage, we are shocked to see where they are hiding while we are trying to chase them out of the area; and they all armed, we don’t have a chance against these guys,” she adds. The post Krugersdorp residents in fear after turf war shootout by illegal miners appeared first on SABC News – Breaking news, special reports, world, business, sport coverage of all South African current events. Africa's news leader..